Nutrition and lifestyle support to optimise your health, natural beauty and wellbeing. AshFab Nutrition is an online destination for natural nutrition information, healthy recipes, products, beauty, wellness, fitness and lifestyle tips, interviews, cooking videos and articles. AshFab Nutrition; The ultimate health, beauty and wellbeing blog that provides a wealth of tips, tricks, recipes and techniques for becoming the most fabulous version of you. A lifestyle solution to help you feel and look fabulous holistically. Ashfab will show people that being healthy is ALL about having fun, adding new healthy habits and positive, uplifting energy to your life, NOT about deprivation, rigid structures, or boring meals. Ashley Siedentopf is a Certified Nutritionist and Integrative Nutrition Health Coach, the soon to be author of Feed Yourself Fabulous, and a cooking and health talk host for Ashfab Nutrition on youtube. Ashley loves creating nutritious and delicious focused around plant based nutrition and free from gluten, cows milk, and refined sugar yet simple, fuss free and full of flavour. Her focus is on weight-loss, wellness, skin health, detox and digestion. She has a passion for healthy living, travel, yoga, and living an active lifestyle . 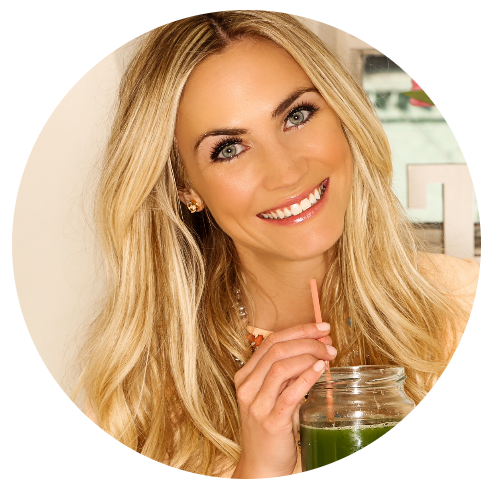 Ashley is a health and wellness writer for Lumity Life and Health Bloggers Magazine and has also been featured in White Almonds, Fit Life TV, and Eho Chef. Ashley was born and bred in Canada, but would spend her summers in the English country side and the Mediterranean. She has now lived in 6 countries, and is hoping to settle down eventually in Malibu, California. She left Canada in 2004 to study fashion styling in Milan at the Institute of Marangoni for a year, then eventually ended up in London to study at the London College of Fashion. After years in fashion and a corporate real estate environment, she decided to give it all up a few months after her 30th birthday and go back to school and study Nutrition. She enjoys spending time with her loved ones, beach holidays, city breaks, the English countryside, skiing, tennis, reading, yoga, pilates, cooking, wine, photography, and most of all living and loving her life fully everyday. She resides in London with her husband and pug. I received my training as a Integrative Nutrition Health Coach from the Institute for Integrative Nutrition’s cutting-edge Health Coach Training Program. No one enjoys enduring the hardships of life but sometimes they help us find a greater purpose. Such was the case for me. I decided to study nutrition because of my personal experience with medical hardship and learn more about the importance of a whole food based diet. It all started when I was 11. After expe­ri­enc­ing some pretty painful, and inex­plic­a­ble symptoms for over a year — I was finally diagnosed with Crohn’s Disease on my 12th birthday in March 1995. I remember laying in the hospital bed with a IV drip, completely shocked, terrified and speechless. They pumped my body full of high dose steroids in an attempt to reduce inflam­ma­tion and ultimately had no answers as to what happened, or why. The only pain relief that worked was Demerol and Morphine (a narcotic pain medicine used to treat moderate to severe pain) side effects including nausea and dizziness. Probably the worst part of those 10 days in the hospital were the tests and examinations; from being poked several times, to an endoscopy, colonoscopy, MRI, and Barium Swallow (I had to drink 2-3 L of a Vile chalky liquid). After I was released I was prescribed Cortisone (a steroid that prevents the release of substances in the body that cause inflammation) which swelled up my face, gave me mood swings, sweats, insomnia, and a very large appetite, as well as Pentasa a drug to supposably help heal my gut but actually worsened the symptoms, my hair started to fall out, I always felt sick after eating, and got severe headaches. Over the years, being in and out of hospitals, tube fed, put on medication after medication, missing school, and falling behind my parents decided to take action and try a holistic approach, when I had my first consultation with the Naturopathic Doctor at the mere age of 15, the list of foods he gave me to avoid seemed daunting, and the amount of supplements he prescribed me seemed scary (Digestive enzymes, fish oils, Vitamin B shots, D, L-Glutamine, Ester C, & Probiotics ect)…fast forward a few months later, I had no stomach aches, toilet troubles, and my appetite was back to normal again. I was thrilled and my doctors were surprised, they had never mentioned anything about avoiding dairy, sugar, wheat, gluten, and other processed type foods. However as time went on and I was approaching my early twenties, my health started to decline again due to poor eating habits and life style choices. Flare ups were worse, the pain was excruciating, and hospital visits became longer. At the age of 23 living in Athens for a month, my condition was so brutal that the doctors said it could have been fatal if I had not gone to the hospital that day; the tests had revealed a large stomach abscess (when bacteria enter your body, your immune system tries to fight the infection by sending white blood cells to the affected area. As the white blood cells attack the bacteria, it causes inflammation pain and the death of nearby tissue, leading to the formation of a cavity.) Being bed bound for 10 days in a foreign hospital, with very poor conditions around me, it was a moment of truth and acceptance that I have a disease and the only one who can help me, is ME. I decided to take personal responsibility for my health. I took charge and made a commitment to myself that I would try to never get in that state again, which was also tremendously empowering. After that terrible time in Athens I found my passion and insatiable appetite for learning about health and nutrition – not only for myself but also for my friends, family and everyone I cared about. A few years later I enrolled in Institute of Integrative Nutrition followed by College of Nutrition. I now create content via articles, publications and videos to inspire organic healthy living, and help clients achieve better health through nutrition. My pure intention really comes down to spreading my love and enthusiasm to inspire and empower other women about organic healthy living from the inside out, through plant based dishes, to D.I.Y organic skin care recipes, to positive, uplifting lifestyle tips to feel and look our best naturally. Today at 34, I feel incredible and manage my illness on a daily basis with plant based nutrition , daily fresh green juices, homemade smoothies and maximising the healthy with high quality supplements, homeopathic remedies, holistic therapies, mediation, and daily movement. My secret to feeling and looking my best is simple: Smart and healthy eating with a fitness based lifestyle, having a positive mindset and a grateful heart.